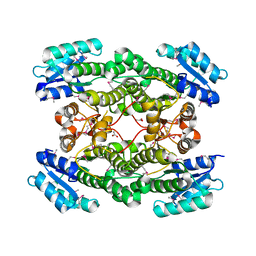 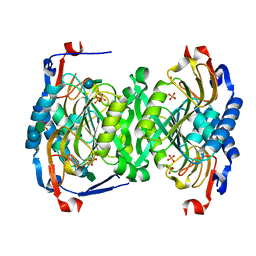 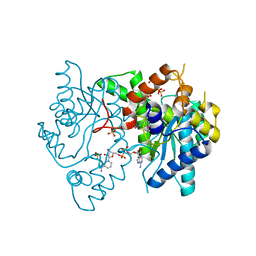 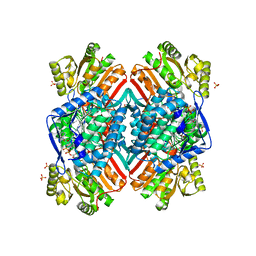 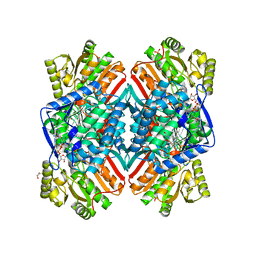 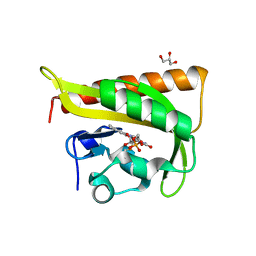 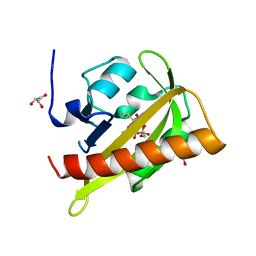 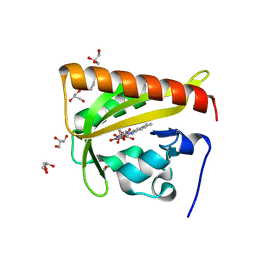 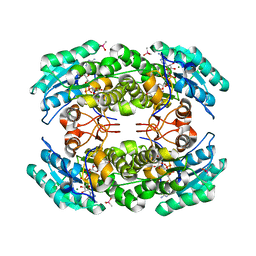 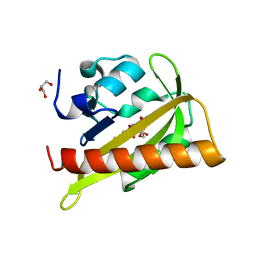 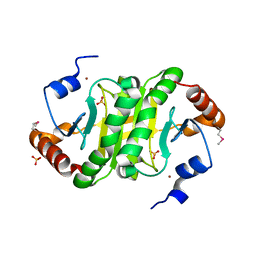 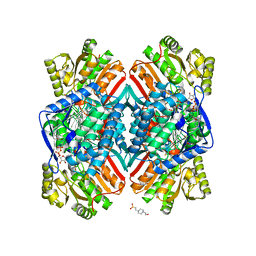 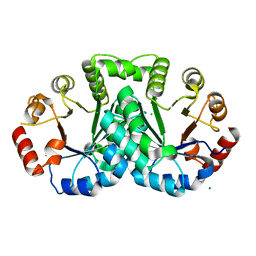 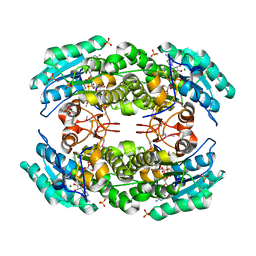 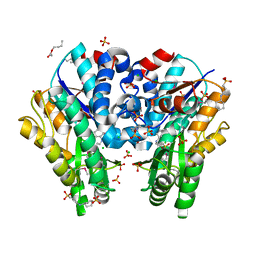 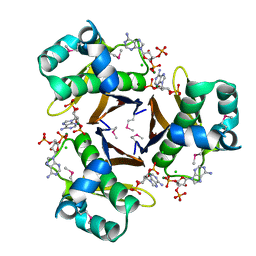 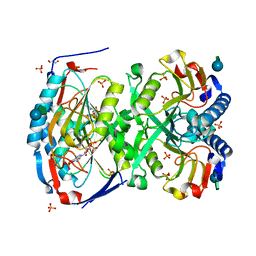 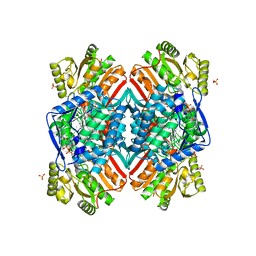 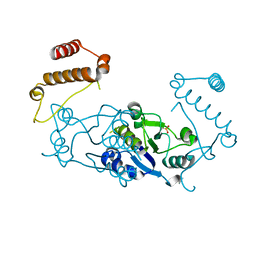 Cite: 2.85 Angstrom resolution crystal structure of betaine aldehyde dehydrogenase (betB) H448F/P449M double mutant from Staphylococcus aureus in complex with NAD+ and BME-free Cys289. 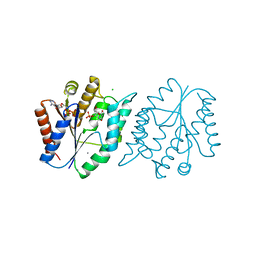 Authors: Halavaty, A.S., Moffat, K.
Cite: N- and C-Terminal Flanking Regions Modulate Light-Induced Signal Transduction in the Lov2 Domain of the Blue Light Sensor Phototropin 1 from Avena Sativa. 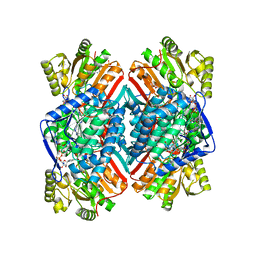 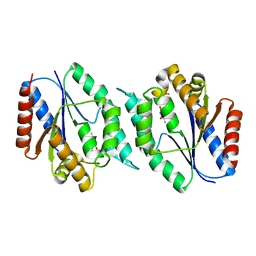 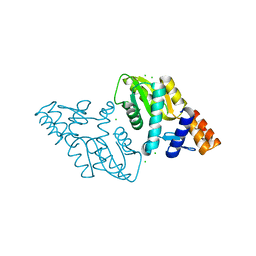 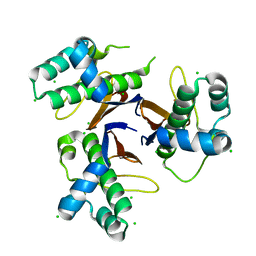 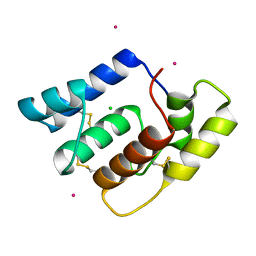 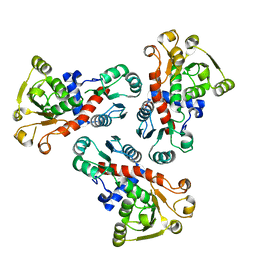 Cite: Structural characterization and comparison of three acyl-carrier-protein synthases from pathogenic bacteria.